Welcome and Congratulations to the new Montagu-Ashton Tourism Chairman! Pierré-Jacques (P-J) Basson is a familiar face to most of us and certainly no stranger to the Tourism Industry. P-J matriculated at Central High in Beaufort West (it comes as no surprise... as Head Boy!) in 1995. It was in April 1999 that P-J came to Montagu and was appointed as the Restaurant Manager at the Montagu Country Hotel, until October of the same year. It did not take him long to be promoted to the position of GM of the Hotel. Since P-J arrived in Montagu he has studied Hotel Management part time, completed a UCT PR Management course and recently qualified as a registered SAT Guide. P-J is Chairman (3rd year now) of the Board of Cape Country Routes - a private marketing organisation. He has been a director on the board for 7 years. He has also done substantial training with Fairtrade, TGCSA, Fedhasa etc over the years. 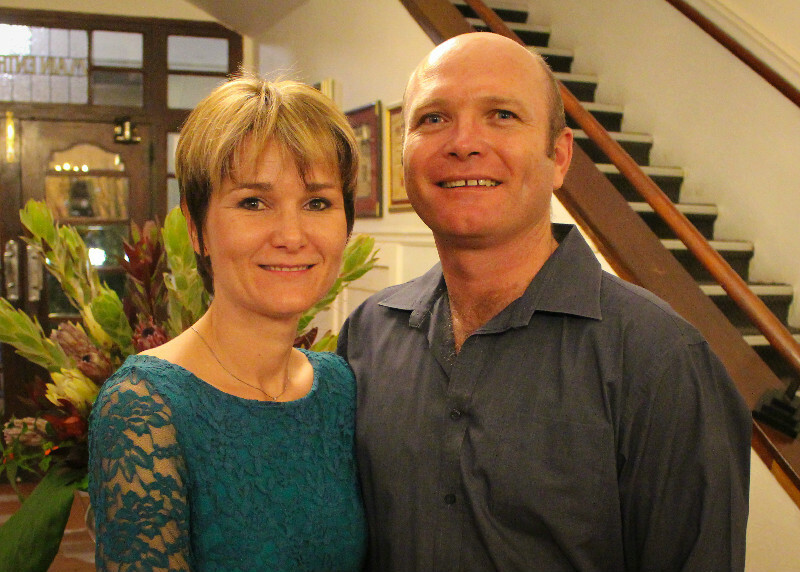 Gert Lubbe, owner of the Montagu Country Hotel, has on numerous occasions vouched for P-J's capabilities and how valuable P-J has become as his right-hand man. No wonder then that PJ has in a very short space of time become part-owner of the Hotel in 2012! Our new Chairman says he is: "passionate about Montagu, Route 62 and the Hotel and believes tourism has a massive role to play in our villages". His vision for his term as Montagu-Ashton Tourism Association's Chairman is to strengthen relations between tourism and other entities: agriculture, police, municipality, NGO’s, etc. An important focus will be the marketing of Montagu-Ashton as the centre of Route 62, using tried and tested marketing efforts to get as many visitors to our beautiful villages.